In this talk, we review what Docker is and why it’s important to Developers, Admins and DevOps when they are using a NoSQL Database such as Aerospike, the enterprise-grade NoSQL database. This presentation includes an interactive demo showcasing the core Docker components (Machine, Engine, Swarm and Compose), along with integration with Aerospike. 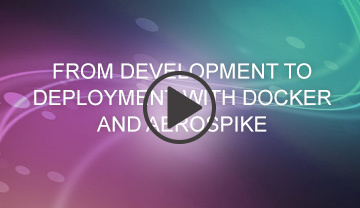 We hope you will see how much simpler Docker can make multi-node NoSQL development and deployment with Aerospike-based applications.